Flower Sugar (distributed by Lecien) has been around for a while and over time has expanded into Flower Sugar 1 and Flower Sugar 2. Pictured above is a selection of both these collections. Although outside of my usual comfort zone I have really enjoyed using these prints pretty floral prints. 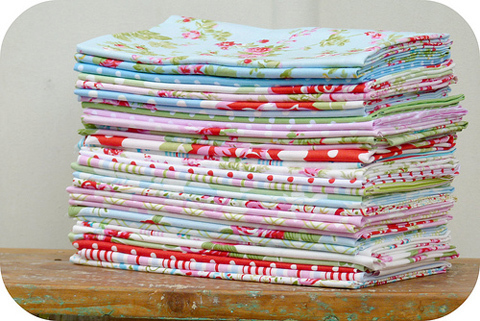 Delilah is Tanya Whelan's latest fabric collection. Delilah is such a sweet collection and although the color tones are so very different to the Flower Sugar fabrics, I have been able to work the two fabric ranges together really well. 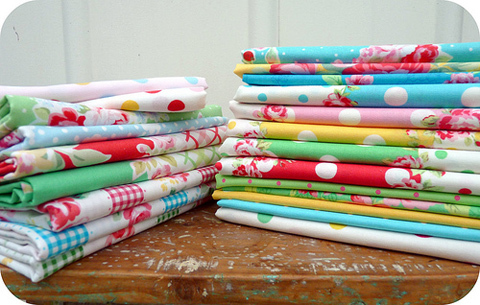 My stash of Delilah fabrics came from Fresh Squeezed Fabrics. AND ... these are Orla Kiely pillowcases which I came upon purely by chance and what's more they were marked at heavily reduced prices. Bargain! Although they would be great to use as pillowcases I think I will be chopping them up. Oh why... why do you tempt me so?? Those pillow cases are not something I'd normally be drawn to, specially not as bedlinen, but seeing them just as fabric I'm suddenly dreaming up a few designs for them! I want some now. Love the pillow cases. Please share where you found them. Chop away!!!! They will be wonderful. I will now be googling Orla Kiely pillowcases! oh wowsers i love the second set of fabrics, such gorgeous colors! Suh-weet! I love Flower Sugar and Delilah. I have a few Delilah charm packs waiting to be cut up. I don't think they'll have to wait much longer. I am SO incredibly jealous of the Orla loveliness - just beautiful! Love the fabrics. I have some of those. Yummy. Those pillowcases are amazing. You will do something beautiful with them, I'm totally sure. What a cliffhanger! 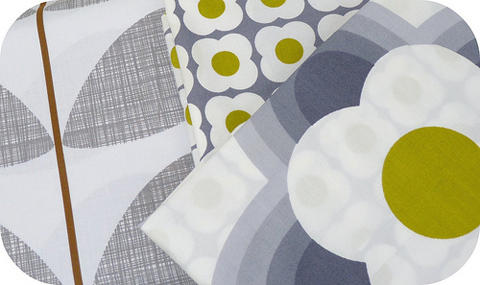 WHERE did you find the Orla Kiely linens?